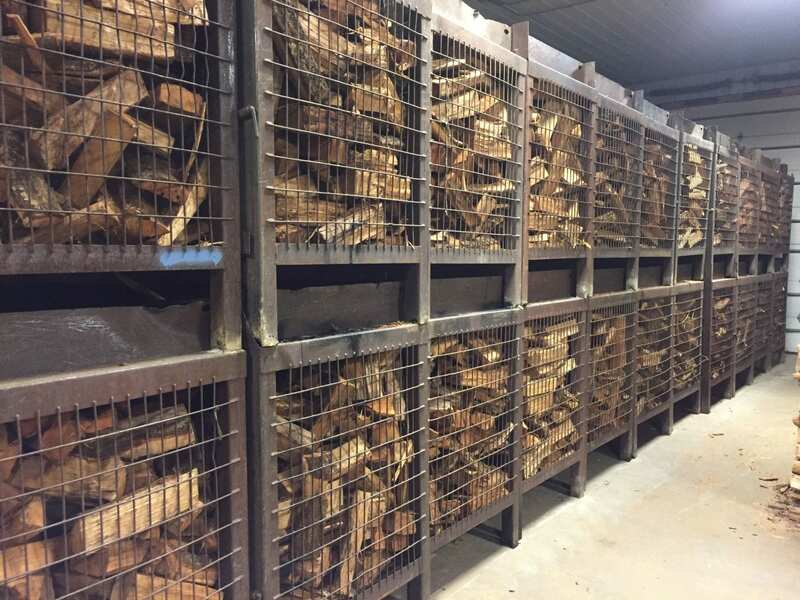 Kiln drying is a fast way to produce firewood and skip the one to two years of time required to properly season wood. Kiln drying eliminates fungus and insects so there is never any worry of bringing insects into your home or store. Our wood is heated in a 260-degree Fahrenheit kiln for roughly 40 hours, the moisture is literally boiled out of the wood. The next step is to cool the wood in a sheltered tent, and finally off to the packing machine.